Next week NYC will see an exciting new venture by the contemporary performance scene’s most entrepreneurial producer and curator, Ben Pryor. Pryor, the vision behind the four-year strong American Realness, an APAP season dance and performance festival that each year has been received with increasing acclaim, is starting up a new curatorial project: Festival TBD—Emergency Glitter. 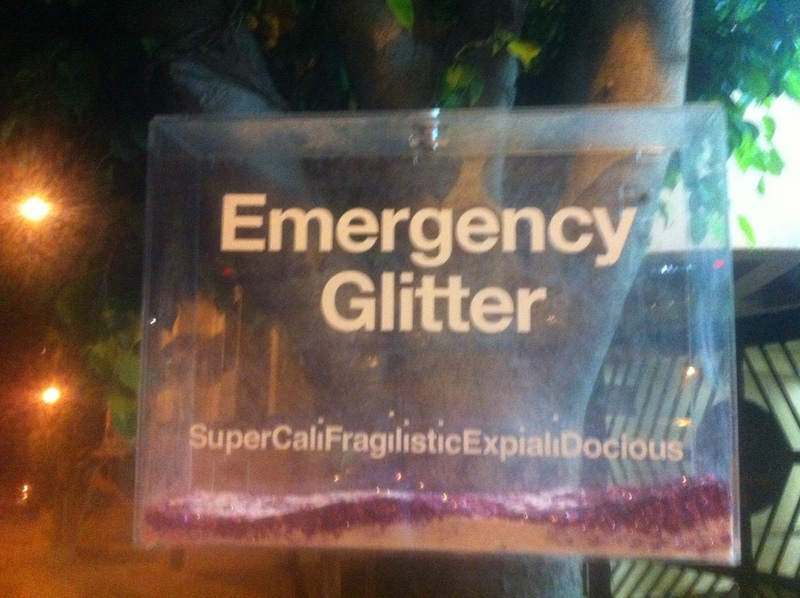 Emergency Glitter. The title conjures the same mix of provocation and fun that American Realness has become known for, and given the success and impact that festival has had, it’s hard not to compare the two projects, to imagine Emergency Glitter as an extension of the ideas and aesthetic that Pryor has developed with Realness. But this festival has an altogether different aim. Its timing, taking place during the summer when the performance season in NYC is mostly dormant, is also removed from the marketplace atmosphere that is a characteristic of the APAP season. And the programming comes from an entirely different line of thinking. The artists featured in this brief festival are all younger, at least in terms of the trajectory of their careers, and the works they are showing are not “best of’s”, the way American Realness presents mostly highlights of the previous year in dance—these are in some cases brand new works, made especially for the festival. The proposition Emergency Glitter helps to articulate, I think, is that engaging with the work of emerging artists has a necessary value, value that shouldn’t be discounted based on the status of the artist in the trajectory of their career. Engaging with this work demands a shift in perception, pertaining to the context, a skill necessary in many kinds of situations (see: code-switching). Festival TBD: Emergency Glitter. @Abrons Art Center, Wednesday July 24-Sunday July 28. All performances $15. Pingback: This Week, Go See Rebecca Patek at Emergency Glitter | "Deeply Fascinating"
Trackback: This Week, Go See Rebecca Patek at Emergency Glitter | "Deeply Fascinating"